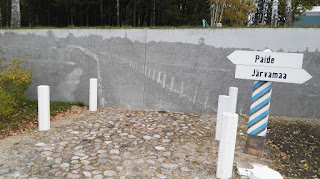 On Saturday morning the partners were taken to Maanteemuuseum (The Road Museum). It is a museum that tells the story of the history of building roads and its effect on life. We were interested in the influence it had on communication (becoming faster, easier and more efficient). 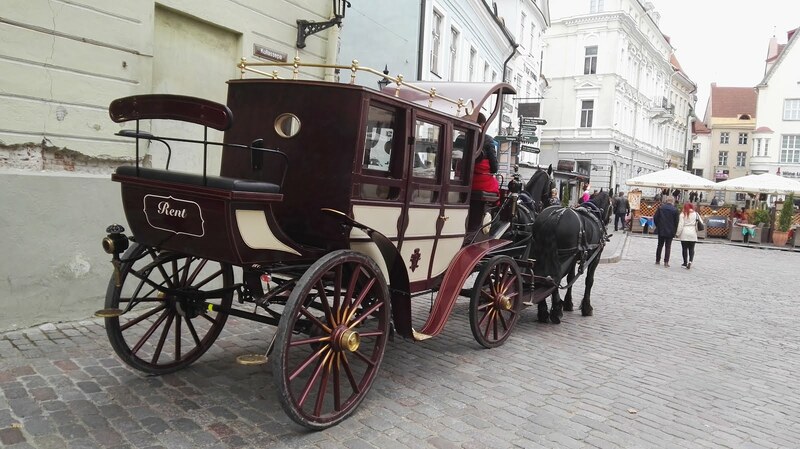 Unfortunately we could not experience the ride in a postal coach as the horses had finished their season and had been taken back to the stables, but we could try out the interactive version of a stage coach and remember what it was like to ride on buses during the Soviet times. 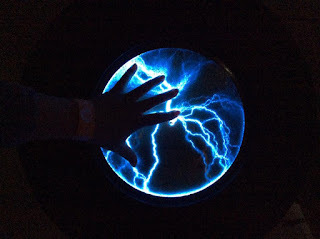 Also, there was a lovely exhibition with old cars and we could test out different car safety attractions. The trip continued in Tartu with quick lunch in a café called The Cookbook and then everyone headed off the AHHAA (an interactive science centre) where the program continued with a art forgery decoding workshop. We were shown how to decode the paintings, find the secret symbols of original authors and how to recognise forgeries by using magnifying classes and UV lamps. 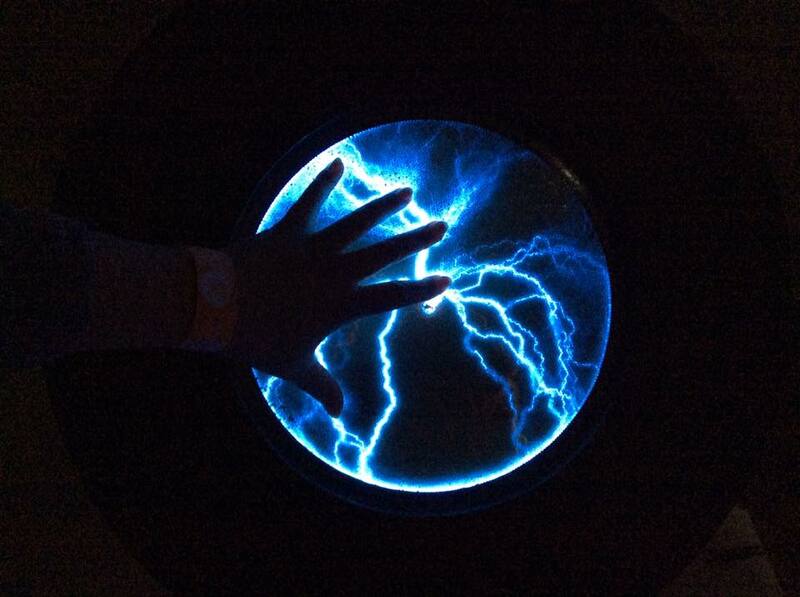 Then everyone had some time to look around the centre and try out the hundreds of hands-on science experiments that were on show (currently, there was an exhibition on electricity, spy life and equipment and a medical display of illnesses and disfigurations). Too soon it was time to drive back to Võru and for the Goodbye-dinner. It was a lovely evening with a lot of thank yous and remembering the best moments of the meeting and taking some more group photos. Then it was time to retire and finish packing the suitcases. On Friday morning the partners and students from form 6b headed out to Meenikunno bog. 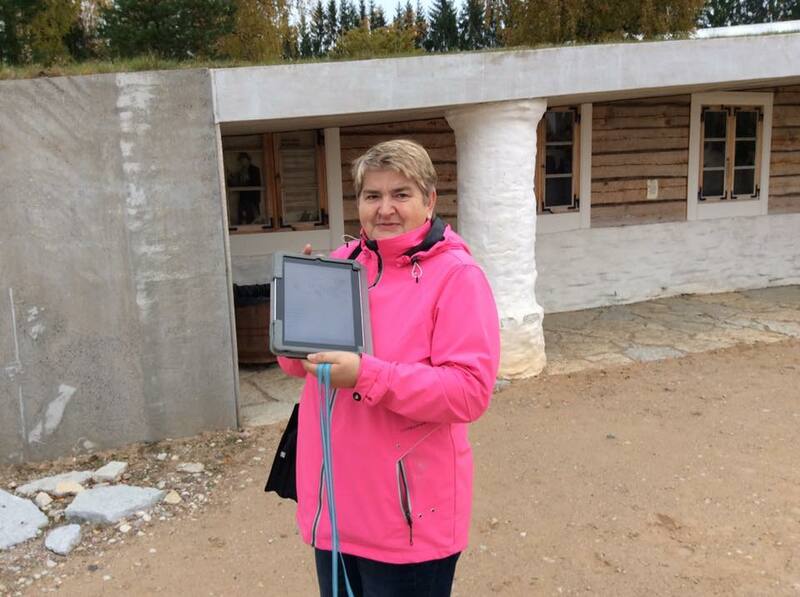 The biology teacher Merit Kund had prepared an outdoor lesson with tablets. 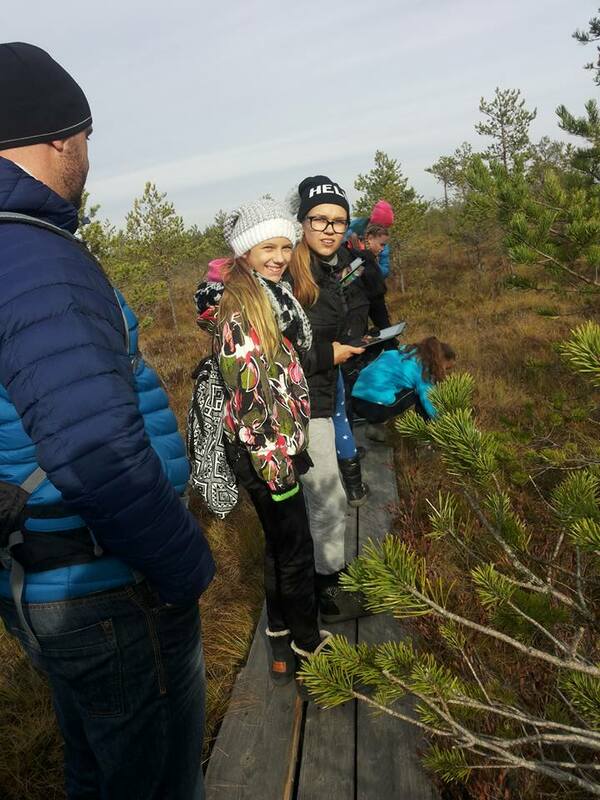 As everyone set off along the hiking trail, they were asked to activate an app for measuring tree heights. It was a lot if fun and even some students got measured by the app by their teammates. 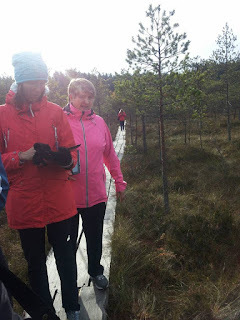 Then everyone could climb up to a watch tower and admire the bog from above. While moving on, the unexpected happened. As it very often is, the technology refused from cooperation. 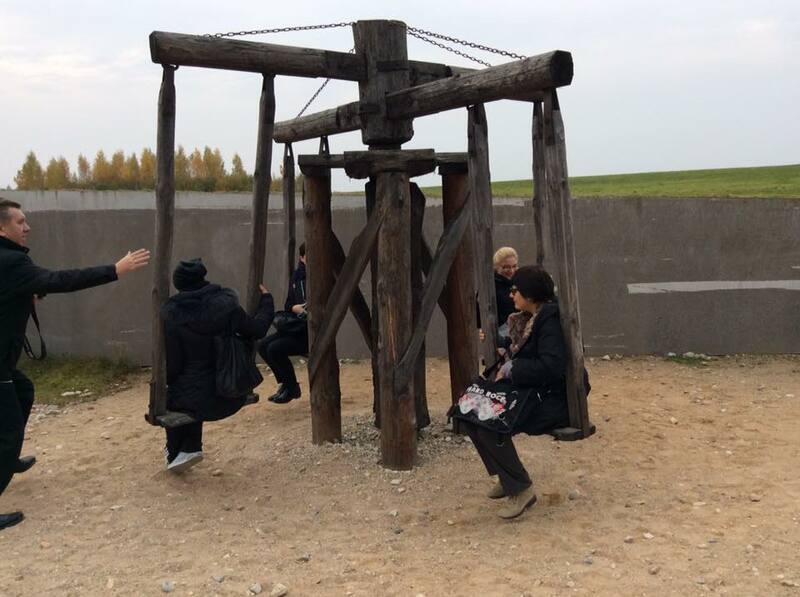 Luckily, most of the students have smart phones, so everyone had to learn to share internet with others around them and the planned electronic photo hunt could go on. 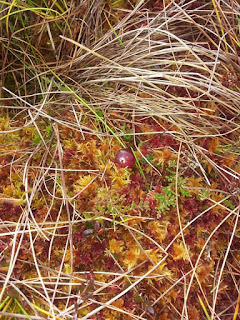 Besides photo hunting, the students had to use the internet for research and tackling the problem of finding a sundew plant (they were not to be found so late in the autumn but the cleverest of the pupils took a photo of the picture from the internet to complete the mission). 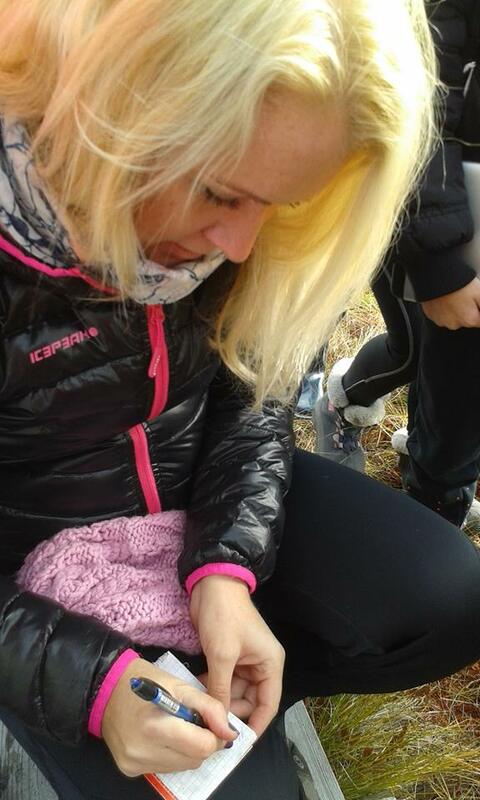 For the first time ever, everyone played along with Geocatching and found the hidden treasure. 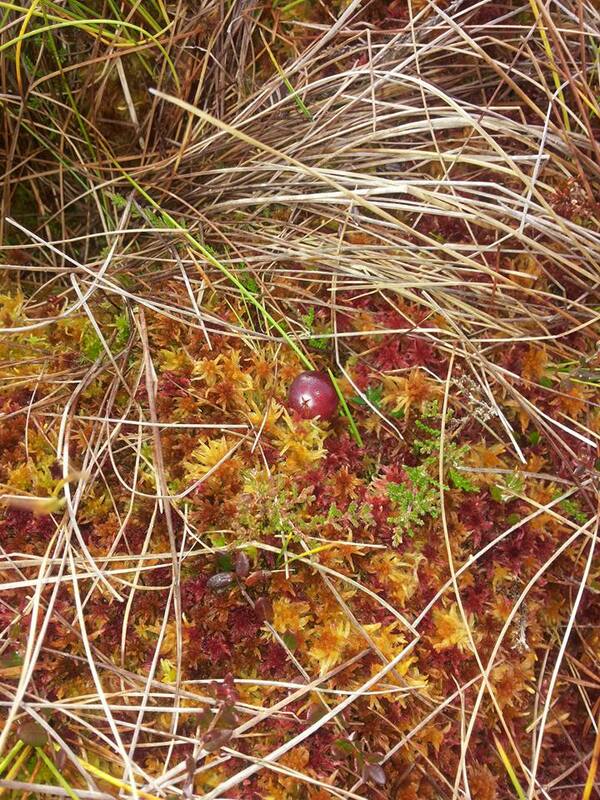 Besides the beautiful weather and autumn nature, there was the treat of finding loads of cranberries to eat. They were especially loved by the Italians. 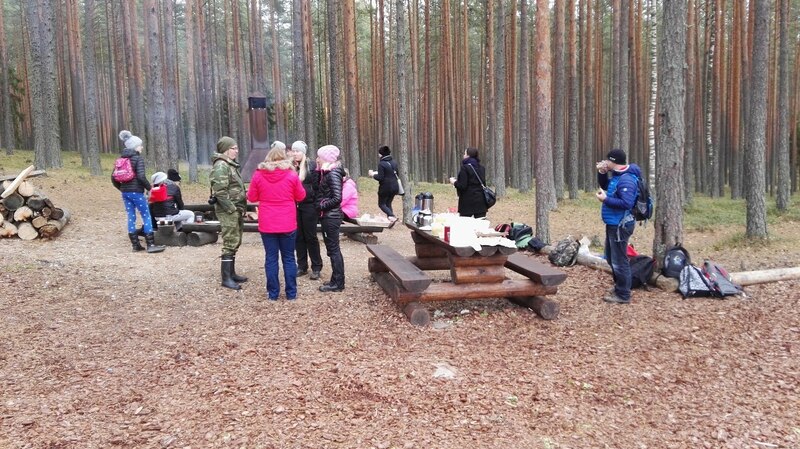 The outing ended with an open air barbeque lunch that was set up by Ene, Kai and Urmas at the end of the trail. Yummy! In the afternoon, everyone gathered to the Kreutzwald Memorial Museum. Besides being the name sake of the Estonian school, Kreutzwald was a town doctor and a writer back in his days. He has translated a lot of fairy tales into Estonian, wrote the national epic "Kalevipoeg" and many other stories. 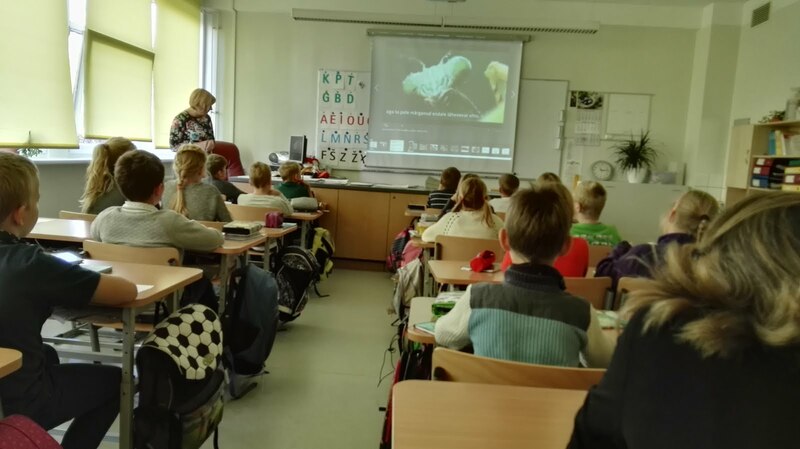 Estonian students had prepared some animations based on his creations and they were presented in a short home cinema session. Then the partners had a guided tour of the museum and finally settled in a side building's tea room to continue the work meeting. The evening ended in a festive dinner out on the town. The guests arrived at Võru Kreutzwaldi Kool by 8.30. They were greeted by the host school's students of form 4b by a Welcome! concert. 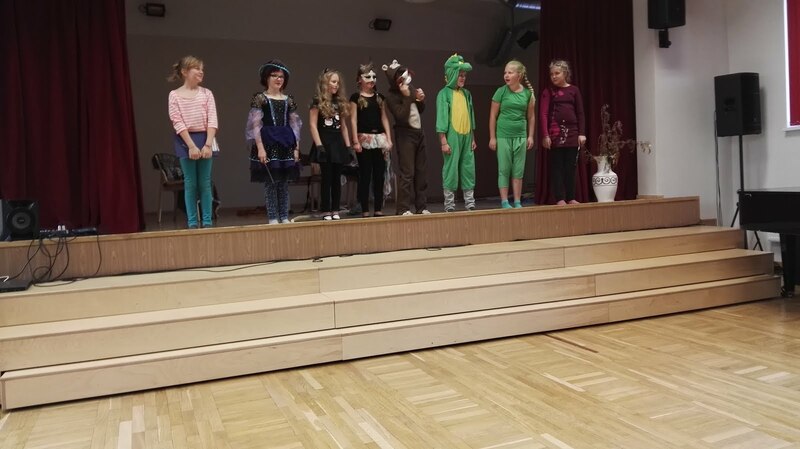 The students had prepared songs both in Estonian and English and a small play about travelling and friendship. It was titled " Room on the Broom". After the concert, I, the Mother Bee, handed out my lovely little Bee-C bees to all the partners so they can fly to their countries and get really busy with doing the project activities. The hosts showed us around the school and we also got to meet some students. 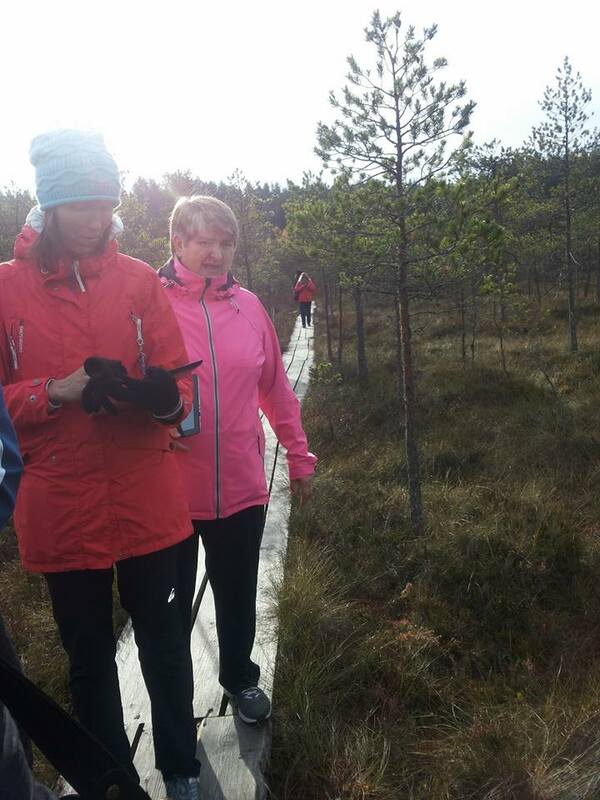 Then it was time to head off to the lessons as it is our aim to get an overview of the possibilities available in the partner schools as well as share good teaching practices amongst ourselves. The first lesson we attended was an IT lesson for second graders. They were learning programming with a program called Scratch. 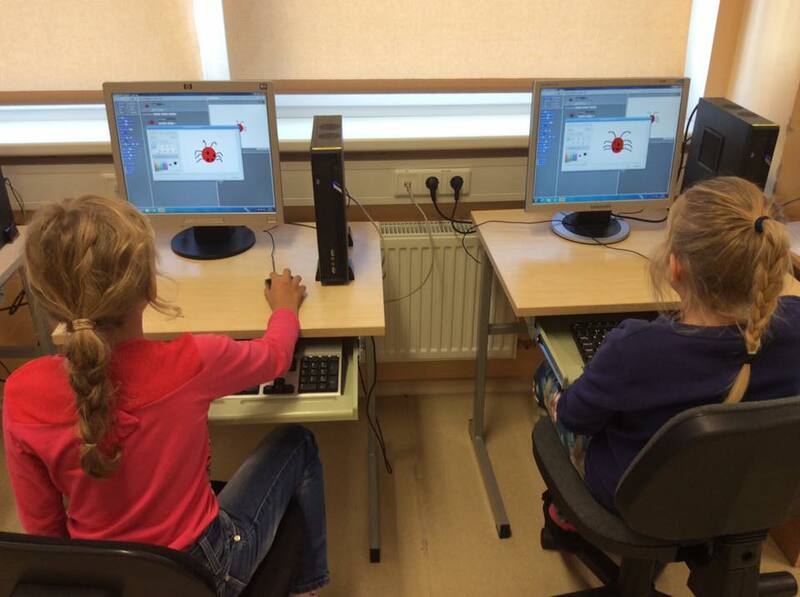 They all created lovely little ladybugs and were taught how to program it to make it move. All of them did such a lovely job and everyone enjoyed the lesson very much. After the break we headed to the Nature Science lesson with form 4 students. The topic was reptiles and the teacher used e-materials available on a special memory stick. 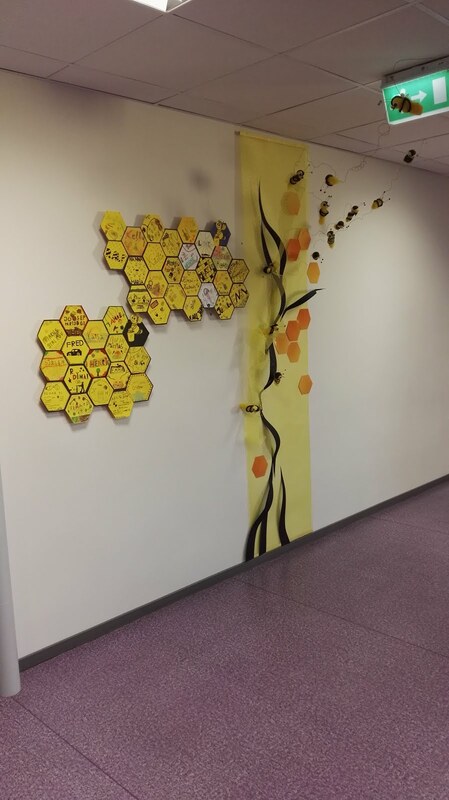 It contained texts, videos, listening exercises and active study tasks. Having such ready-made materials available from publishing companies definitely makes the teachers life easier and classes more interesting for the kids. 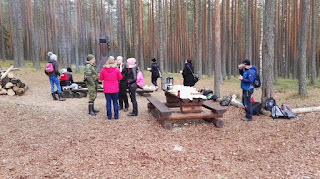 All the guests got to have some lunch at school with Estonian students. 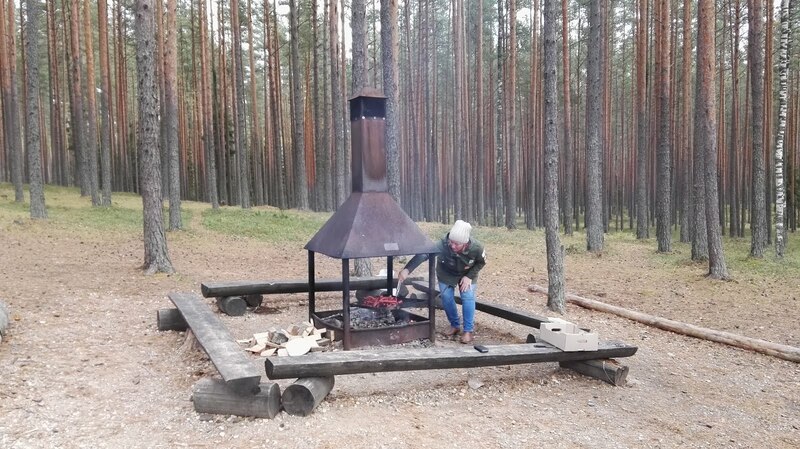 All Estonian students get warm freshly made food every day. Up to year nine (end of compulsory education) the food is paid for by the local municipality. 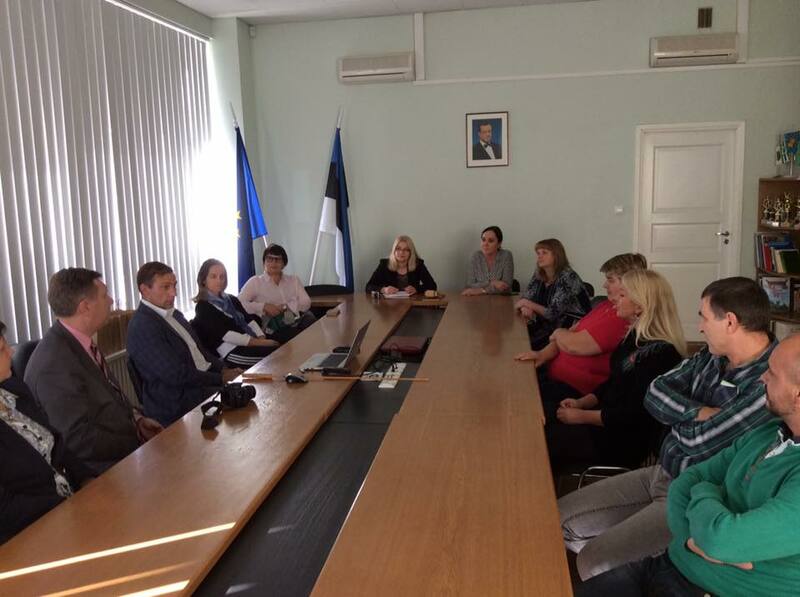 After lunch the partners visited the Town Council where they were greeted by the deputy mayor Sixten Sild. 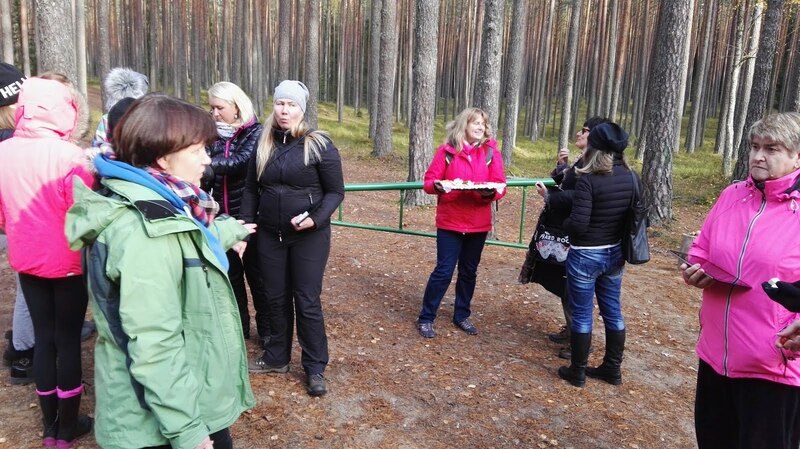 Within an hour the guests were given an introduction to Võru's history, education system and discussed other topics of interest. The visit ended with taking of a group photo. 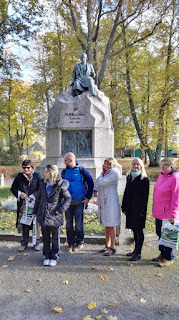 Then the guests were taken on a short tour of the town during which they were shown the two churches (one protestant and the other Russian orthodox one), the brand new state gymnasium (ministry-run upper-secondary school), taken on a stroll along the Catherine the Great Alley promenade (dedicated to the Empress of Russia who signed the documents that established the town)and the beach promenade next to Lake Tamula and through the park dedicated to Friedrich Reinhold Kreutzwald (the author of the national epic of Estonia and the name sake of the Estonian school). In the afternoon all the partners gathered to the work meeting. There was a lot to discuss starting with the general info about the project up to putting down exact responsibilities and tasks and deadlines for the first project year. Today was the very first day of our first ever project meeting. 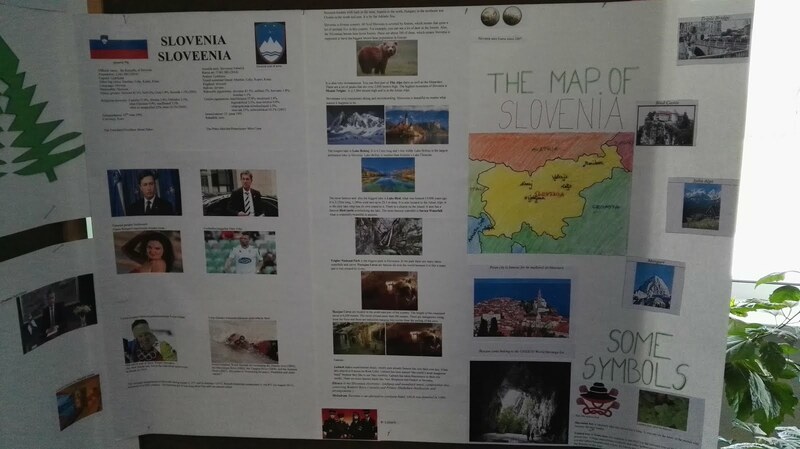 The week before has been exceptionally busy, when the receiving school in Estonia has been trying to get everything (the plan of activities and transportation, board with posters of introductions about the partner countries, the welcome concert and different workshops) ready. At half past two, the Estonian leaders took me on board of the school's minibus and we drove to meet out partners in Tartu. The Italians Monica and Emanuela were already there and we could make friends with them. 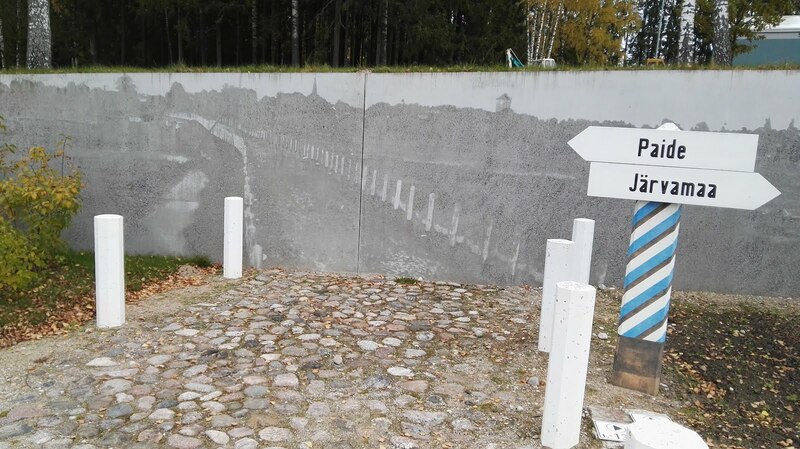 Within an hour, the Polish Ada and Eva and the Slovenians Zvone and Rok arrived and we could drive back to Võru. How very well scheduled we were, as the Finnish partners Sanna and Heli (she's an Estonian who now lives in England:-) ) drove up to the hotel just as others were checking in. 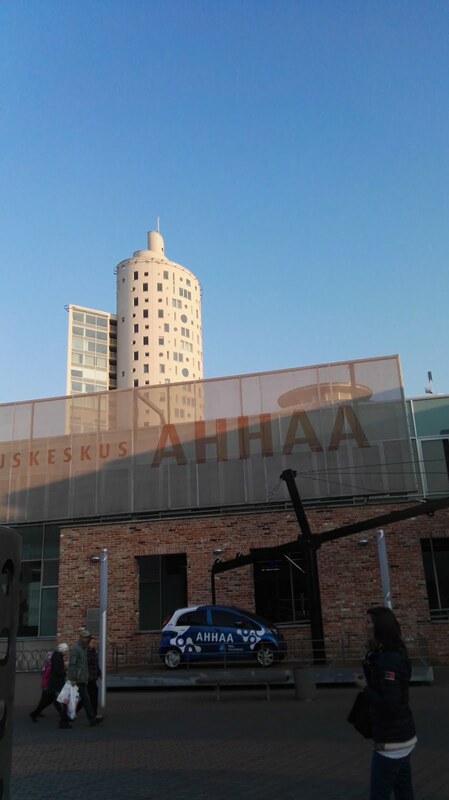 The opening night was celebrated with a dinner party at the Kubija hotel's restaurant where the headmaster Kaider Vardja welcomed everyone to Estonia, made official introductions and everyone tasted the host country's national flavours of rhy bread and pork or chicken dishes. Everything tasted well after the long day of travel. It was an early night so everyone could settle in and get ready for work in the morning. 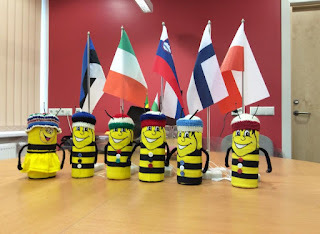 I'm Bee-C and these are my friends from Estonia, Italy, Slovenia, Finland and Poland.